Have you ever been thunderstruck by an idea? It’s as if you’ve been sleepwalking and then this idea hits you and KAPOW! suddenly, you’re awake and crystal clear about something that eluded you earlier. You know exactly how to solve a problem and what to do next and you feel positively on fire about doing so. Don’t you love when that happens? This is exactly what happened to me when I spent some time painting at an art studio that instructs groups on how to create a picture step by step. Nurturing your creativity allows more “intuitively inspired ideas” to come to you. 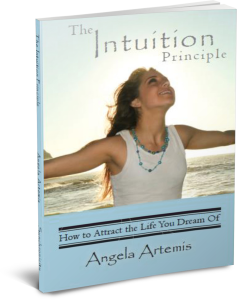 Being “intuitively inspired” is the foundation of what it means to live your life “Powered by Intuition”. 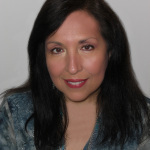 When you live a life powered by your intuition intuitively inspired ideas come to you frequently that help you navigate life more smoothly with fewer struggles. And we all want to live our lives in the “flow” and not in a continual battle trying to swim up current! So if you haven’t made time to nurture your intuition don’t wait, do it soon. 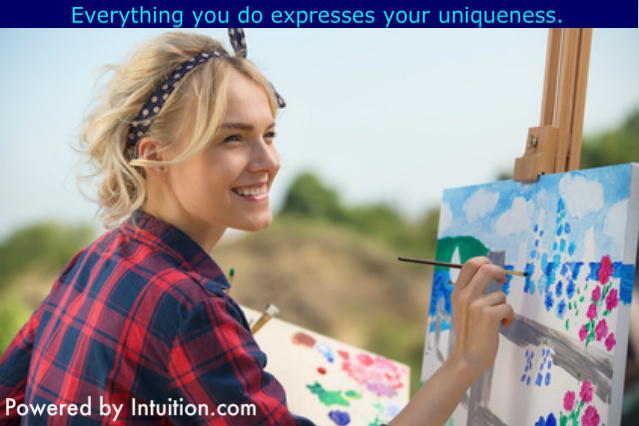 Creative activities are an excellent way to increase the volume of your intuition. 5. You are special and one of a kind. Know that this is the truth about you and it is not dependent upon your achievements nor net worth. We are absolutely unique in our expression. Seeing how each person’s painting turned out so very differently, even though we were given the exact same instructions just blew my mind. It just goes to show you how we each filter our perception of reality through our own personal lens. We cannot be carbon copies of one another no matter how hard we try. 4. Competition is an illusion. Let this notion go. It will only stifle your growth to believe in its existence. Competition simply cannot exist when we are each so unique. Even if you and I were working to build a similar business they would be different – just like the paintings were different. Each of those businesses would filter through our personal lens and the expressions we brought forth would be completely unique to each of us. 3. Take the road less traveled. Believe in your ideas and have the courage of your convictions to carry them out. To be a thought leader requires independent thinking. Don’t follow the crowd if you feel inspired to “paint” something your own way. Stop watching what others do and listen to your inner guidance! Watching what others do puts you on a collision course with “comparison” and second guessing of yourself. Both of these are the kiss of death for your creative genius and for reaching your potential. 2. Give up chasing perfection. It’s a major party pooper! When you stop striving for perfection you live in the moment and enjoy what you’re doing. Do your best and surrender to the process and have fun with it. The more relaxed you are the more spontaneous and effortless the undertaking will be and the better it will turn out. Let go of control! After completing my painting I took a look around the room to see everyone’s pictures. I noticed that my trees were very small in comparison with other paintings. I hadn’t wanted to obstruct the lake and mountains in the painting by making my trees too large. And then it dawned on me that I have always needed to “see far.” As a clairvoyant I “see” symbols, scenes and souls that provide the answers I get. Clairvoyance also called “second sight” can be developed. And that’s when I had my “KAPOW!” moment. I knew I had to teach people to “see” their intuition rather than struggling to rely on feelings and vibes that are easy to misread. If they learned to use “second sight” to receive visual answers they would no longer be confused. So I vowed then and there to create a new program to help you do just that! If you’re not a Powered by Intuition subscriber subscribe to be notified when the course comes out – sign up here! If you enjoyed this article please share it on Twitter, FB or G+. Thanks! 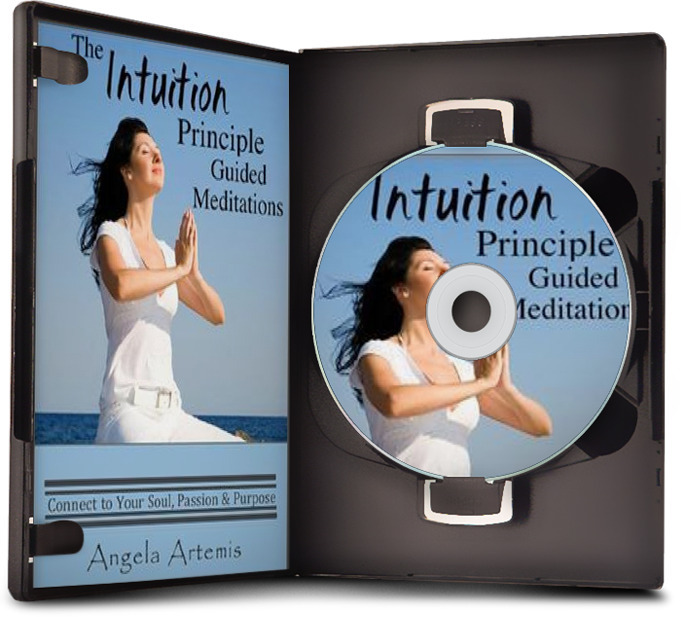 Check out my best seller, “The Intuition Principle” to learn how to tap into your intuition – Here. Are there some goals you just can’t achieve no matter how hard you try? Or if you do achieve them it doesn’t last or something happens and it all falls apart? If you said yes then it’s time to use your intuition to uncover your sabotaging beliefs. Most goals fall under these common categories: Career, Finance, Health & Wellness, Relationships. What’s most frustrating is when you are able to create success in a few of these areas but not all. For example you might excel in the areas of Career, Finance and Health but not at experiencing the joy of happy, deep, meaningful relationships. Or perhaps you have wonderful loving supportive relationships and enjoy perfect health and fitness but you can’t for the life of you seem to create lasting financial prosperity. It may be that you have great relationships, financial success and great health but not a career you love….it’s just a paycheck albeit, a healthy sized one. In another example it may be you experience success in all areas except for your health; perhaps you just can’t lose the weight no matter how hard you try? These are not an uncommon patterns. When we are not experiencing joy and fulfillment in one area of our lives this is big blaring SIGN that we need to pay closer attention to it. It’s likely that this is an established pattern in our lives. If you resonate to having one or more challenging categories right now think back over your life and review your experiences in these particular areas. Is it a pattern? Yes? Then something’s going on under the surface that you need to examine now in order to experience success in this area in the future. It’s likely you have some deeply ingrained limiting beliefs running in your consciousness that sabotage your success in this area of life. You’ve taken a new job. It’s a great next move in your career. Based on your previous accomplishments the divisional manager promised you a team manager position as soon as it opens up. You work diligently and do all the right things but you can’t seem to close a deal no matter how hard you try even though you brought in new business constantly at your old job. Every time you’re close to getting a new customer the deal disintegrates. You’re falling behind on your numbers and this is taking a toll on your confidence. Now you fear you won’t get the promised promotion when it opens up. What’s going on? You ask for intuitive guidance and meditate on the issue. After getting still a memory surfaces that helps you get to the heart of why you seem to be sabotaging your career. Suddenly you “see” yourself back in grammar school. You’re running for class president of the sixth grade. It’s your turn to get up in front of the class and give your speech about why they should vote for you. You created a presentation that includes writing your campaign promises on the black board for emphasis. As you back up toward the blackboard you crash into the plant stand next to your teacher’s desk and fall backward knocking it over spilling dirt on yourself and everywhere. You’re mortified! And you’re not elected to 6th grade class president. You go back into this memory and rewrite it. You see your eleven year old self stepping backward toward the blackboard but being aware that the plant stand was there. You avoid the plant stand, easily maneuver around it, write your campaign promises on the blackboard without a hitch and you become the next class president. Now you can think about what happened without wincing in embarrassment. Your free to step up and stand out! The unconscious fear that held you back is gone. The next week at work you close several new deals and a few months later when the team leader position opens up you’re promoted. See how this decision to “not stand out” made decades earlier still runs the show? 1. Go within. Go somewhere you won’t be disturbed and get quiet and still. When you feel calm and ready ask your higher self or God, the universe, guides (whatever feels right to you) to help you tune into what’s going on under the surface. 2. Ask for memory about this pattern. Relax and listen to the first thought you have or watch the pictures that surface in your mind. Some people are more attuned to “listening” and others to “seeing.” Neither is right nor wrong. 3. Grab onto the memory. What happened? Who was involved? How did it make you feel? What snap decisions did you make as a result of this experience? 4. Do you experience a high degree of emotional upset when reviewing this past event? If so this is a sure sign you’ve correctly identified the right memory. 5. Review the decision you made. Did you make a promise to yourself in that moment? Ask for intuitive guidance about this decision. What feels right is usually correct. The decisions you made in the instant you were experiencing emotional turbulence are likely to have become the sabotaging beliefs that are now preventing you from achieving success in this area. 6. Rewrite the past. At any given moment there are innumerable possibilities to step into. You could have chosen differently in the past and that would have resulted in an entirely different future. Tell yourself that you made the best choice you could back then but it’s time to let it go. Thank your younger self for trying to protect you but tell him/her you’ll take over from here. Now go back now and change the memory. Choose a different reality. See yourself making different decisions in that moment. Erase the old memory and replace it with the new one in which you made positive choices. Tell yourself that is now what you’ll remember about that day. 7. Test out the new memory. Replay the new scene you installed a few times. How do you feel now? Try to recall the old memory. If you feel removed from it and the high level of emotion you experienced earlier has subsided you’ve successfully collapsed the memory. You should now feel free and more energized and you’ll begin to notice things changing for the better in that area of life. Do you have one area of life where things aren’t working? What limiting beliefs are holding you back? If you enjoyed this article please share it with a friend on Twitter, Facebook or Google+. Dreams are a valuable source of intuitive guidance. Dreams are an easy way to begin accessing your intuitive wisdom. No one has to teach you how to go to sleep or how to have a dream. You’re already an expert. There’s only one thing to master and that is recalling your dream. The two most valuable types of dreams are the intuitive guidance dream and the precognitive dream. An intuitive guidance dream gives you an answer to a problem in your life and/or insight into a challenge your are facing in life. A precognitive dream foretells of a future event. Just recently I two such dreams in one night. The first one was so unusual that I woke up from it, which is probably why I remembered it so vividly. I was standing on the sidewalk when a car turned in from the street to a driveway. As the car stopped next to me waiting for the garage doors to go up, I saw a young man in his forties with a bandage on his head in the passenger seat. He turned to look at me. I was startled to see that his eyes were rolling around in his head. Do you want the New Year to be extraordinary and your best year yet? Are you tired of struggling, feeling overwhelmed, stuck and indecisive, and having fear and insecurity undermine your success? If so, it’s time to put the 3 keys to manifesting an extraordinary year to work for you and take control of your life. You must use the 3 keys together to create an extraordinary year by learning to listen to what your intuition has been telling you all along, creating an intention and plan around your desires followed by taking action. Key 1: Why listening to your intuition and following it is important. This is important because your best ideas and inspiration come to you through your intuition. You and every person on the planet is connected to a vast network of intelligence where every answer and solution already exists. Your job is to ask the right questions and then to keep an open mind about where and how the solution will appear. Your intuition is the vehicle that conveys this information to you. When you ask for answers the greatest thing you can do to ensure your success is to have faith that you’ll receive them. Once you pose a question and have faith believing there is a solution the entire Universe will get behind you to bring it to you. Your subconscious will begin to search through each and every file stored in your memory banks to see if you already stored away the answer. In the meantime your faith and belief that an answer exists is telegraphed into the Universe where your request to search for this information begins. Your brain and heart emit electrical impulses that can be tracked and measured using devices such as an n EEG or EKG machine. Did you know that these electrical impulses are not unlike radio waves that can travel far beyond our Earth’s atmosphere, our solar system and out into the universe? Every time you make a request your body emits these signals that travel deep into the heart of the universe. So, never doubt that your thoughts, feelings and emotions are not being “heard.” The Universe always gets the message and is always listening. You’ll recognize what your intuition is telling you to do because the evidence to go forward with your desire will appear all around you in your environment. If you have a desire to leave your job and build your own online business you may start noticing books written by entrepreneurs that teach you how to do this. You may also turn on the radio in the car at the exact moment an expert in entrepreneurship is being interviewed. You may also begin meeting more entrepreneurs who left corporate jobs at networking events. These are all signs that the new path is being paved in your life. These signs show you that there is a way to accomplish what you desire. The Universe is telling you that other people have done what you wish to do and so can you. A lot of people ask this question: How do I know I’m supposed to do this? What if it’s a whim and I fail? If you have a desire that will not go away no matter how much you try to ignore it then it’s not a whim. A whim has nothing behind it. It’s a fleeting fancy that caught your attention just like a tumble weed rolling by in the wind. Once it has rolled past you it’s forgotten. A desire comes from a deep place and is part of your purpose and mission in this life. This desire is propelling you to leave your comfort zone and stretch beyond what you think you’re capable of so that you further your education in “Earth School.” If you try something and fail–so what? There are no guarantees in this life except that we are only here for a brief time and then our body gives out on us. We are here to take full advantage of this life not cower in the corner afraid of it. If you are afraid to take chances and make the most of your life you will waste this gift that is only a brief moment in time. Have you ever noticed how fast time goes by? Does it seem as if the last new year was just days ago? Life goes by so fast you must take charge and get uncomfortable at times in order to make the most of the time you’ve been given. So while there are no guarantees about success there is one thing I know for sure: by taking a stand for your life and going out there and acting upon your desires even if you fail you’ll be miles ahead of where you were before you tried. Your education about what to do and what not to do will be the foundation you build your next venture upon. This seasoned experience will serve you well and lead to your eventual success. Do not fail to listen to those whispers, nudges and desires that speak to you. They are pulling you toward expanding your consciousness of what’s possible for you which is their function. Your desires are just like a river that runs through you. If you don’t release your desires into the world this river backs up and overflows your mental banks. When it floods it wreaks havoc upon your life. You’ll find yourself frustrated, stuck, overwhelmed, resentful, angry, unsettled, jealous, dissatisfied, and unhappy and constantly trying to stuff your desires back down. All of these negative emotions will spill out into other areas of your life like your relationships and your health because you’re blocking your growth and expansion. If you accept that you have a desire and then channel it safely toward creating with it you will feel empowered and alive. This powerful urge to create and be more than you are now does not lose its power whether you work with it or try to squelch it. It simply releases its power causing either positive or negative outcomes in your life. Your intuition was meant to flow through you and pull you toward reaching your highest potential. Begin to recognize this and do not try to wall it off. Once you know what your desires are the next step is to create an intention around it. An intention is a conscious acknowledgement that you not only have the desire but that you “intend” to make it a reality. Allow the desire to take shape fully. Play with it in your imagination. Take this skeleton of an idea and flesh it out. Where do you want to go with it? How far? How high? How deep do you want to take it? Allow yourself to get excited about the possibility. Feel the joy of what it would be like to be, have or do what it is you desire right now in the present. 1. Get really clear by asking yourself why you want it? When you know your “why” you’re more apt to be motivated to throw yourself into it 100 percent. The more deeply you create the intention to follow through on this inspiration the more you’ll get signs from the Universe of how to proceed. Your intention coupled with your faith and belief that it’s possible will be telegraphed to the Universe via your body’s electro-magnetic impulses and in turn the Universe will open new doors for you to walk through to help you bring about your desire. The stronger your intention the more often these road signs will appear. 2. To bolster your intention create an affirmation or mantra that you can use during the day should any fear or insecurity pop up about where you’re headed. This is part of the steering mechanism you need in order to captain your ship. When you begin to see that you’ve veered off course or are even listing just a bit you must pull out your mantra and steer yourself back on course. Every time you use it you are further cementing your intention into your being and it is being broadcast more loudly to the Universe. 3. Write down what you wish to create. Fill in every detail about your desire. Add dates by which you intend for it to manifest and read this statement every day. Each time you read it your intention goes deeper and deeper into every fiber of your being and this strengthens the signal of the broadcaster to the Universe. 4. Other ways to support your intention might be to write a letter to yourself detailing this desire and then seal it up and do not open it until one year has elapsed. You might also create a vision board for it or journal about it. Just know that the more clarity you have around it the more easily the path will be revealed to you. The more excitement and emotion you can emit over it the stronger the signal to the Universe will become. The stronger your belief and faith that what you desire is possible the faster it will manifest. And the more you live and act from a place of certainty that this desire is already present in your life the more spectacularly it will appear in your life. Always “let go and let God” work it out and allow it to be the manifestation for the good of all concerned. This vast storehouse of we call Greater Intelligence, or the Universe, life force or God has been around a lot longer than we have and surely knows a thing or two more than we do. When we let go and let God and ask that the outcome benefit the highest good of all concerned we are saying that while we are in partnership with it to co-create our lives we are humble enough to know that we ourselves are not the source of the power that flows through us. Our job is to let this great power flow through us and not to become attached to how it does what it does. When you are attached you will create a blockage that will be as damaging as the block we create when we ignore our desires. Take intuitively inspired action. This is the most critical of the three keys and where many fall down on the job. It’s of now use to listen to your intuition, get inspired and excited and to create your intention if you don’t follow through and act upon it. This too creates a dam that eventually results in destruction. Any time there is an unfulfilled desire we are creating the potential for negative consequences. Suppose you take seriously the desire to build your own business and eventually hope to leave your 9 to 5 job. You put everything in place and over time begin making money. Eventually you make enough to feel comfortable that you can support yourself if you quit your job. But, you’re afraid and fearful about quitting your job so instead you keep trying to juggle both. You work tirelessly into the night on your business and the Universe keeps telling you “all systems go” by sending you awesome new clients or projects that are perfect for your growing business yet you still resist quitting. How long can you continue to burn the candle at both ends? You’re exhausted. You resent the time you spend at your job because you know in your heart you’d rather be working on your business. You lose interest in work and call in sick frequently. You don’t feel well and your energy is low and therefore you catch more colds. You don’t have the stamina you once had or the free time to spend nurturing the precious relationships in your life because every spare moment is spent on your business. Your spouse feels neglected. Your children never see you at their games anymore and you’re short tempered and have arguments with your partner. Eventually you begin losing clients who want even more from you but because you still have a job you’re not able to satisfy them. Now the business you once had isn’t growing but going backward. All the people you once had in your life are pulling away from you. You’re angry and resentful. You blame your job; you blame your responsibilities at home. Can you see where this is going? You are headed in a downward spiral. And why did this happen? It’s a reflection of your fear and not taking action and letting what you built slip through your fingers. Don’t let this be you. Create a plan and take action this year. Make the coming New Year an extraordinary one. Where are you stuck? What’s overwhelming you about making the coming new your your best year? How can I help? Share your concerns in the comments. I want to take this opportunity to wish you a happy holiday and happy New Year! Thank you for being part of the Powered by Intuition community. I so appreciate you. Without you this would be a one-sided conversation. 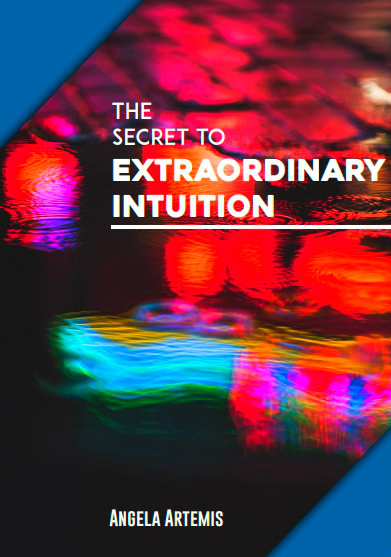 Learn how to follow your intuition to your best year yet: Click here. When Obstacles Arise don’t Give Up – Use Your Intuition to Rise Above Them! I believe we are never given more than we can handle. When obstacles arise on the path the solution is to find a way around them. When we are stumped by problems we need to use a different type of thought process that’s outside the box. We cannot keep looking at the problem over and over and thinking we’re going to get the answer. Say for example, you’re looking for a way out of your job. You’ve tried everything; getting certified in another area and transferring to a different department and that worked for a while…..
You went back to school to earn another degree and changed professions and companies…..and that too worked for a while. You’ve looked at online businesses and started something online but it’s been frustrating and unfruitful. But eventually after the novelty wears off you are always back at square one; not happy and looking for a way out. Substitute whatever problem you want there but the bottom line is that if you keep staring the problem in the face you’ll never figure the way out of it. You must access a higher level of thinking and rise above the problem so you can go around it. The way to access this higher perspective is by connecting to your intuition. Let’s face it your brain is a receptacle. It only holds information that you’ve acquired and stored there. Think of it as a “memory stick” you carry around in your skull. You wouldn’t expect to get information off of your memory stick that you hadn’t downloaded onto it, would you? This same principle applies to your brain. You’re looking for answers that do not exist in your memory banks. You’ve got tap into Greater Intelligence via your intuition to get your breakthrough idea. You’re intuition is where genius resides. Intuitive thinking is the thinking process that visionaries and innovators use. Think people like Steve Jobs and Thomas Edison. These visionaries thought outside the box and knew how to solve problems. If you want to generate ideas and solutions like a genius you must learn how to tap into your intuition. Intuitive thinking is a totally different process. The answers you will get will likely surprise you too! They are usually much more creative solutions. 1. Quiet time is an absolute must. Call it meditation, reflection, relaxation; it doesn’t matter. The important thing is that you disconnect from the problem and stop thinking about it. I recommend meditation. It quiets the mind by slowing your thinking and allows for a “space between” your thoughts to emerge. It is in the quiet space that ideas and solutions can be downloaded from Greater Intelligence that will solve your problem. 2. Explore nature. Get outside and go for a walk or a hike in a beautiful natural setting. Focus on the sounds of nature such as birds chirping, ocean waves or running water of a stream. This will calm you and you’ll stop thinking about your problem. It will have the same effect as meditation by slowing the thoughts and quieting the mind so you can download the solution. 3. Do something out of the ordinary. Take time off. Go somewhere new you’ve never been and immerse yourself in the experience. Go to see a play or musical theater production. Pack your bags and visit a town with interesting history for a weekend and explore. Being away from the problem will also allow your mind to calm down enough to receive the download of information you need. 4. Reverse engineering. Review the “desired outcome” for the goal you are now having problems achieving. Go back to the beginning and write a different set of steps you could have used to get to the end goal. Try to generate 5 different ways of arriving at the outcome. Keep asking yourself, “What else could I do here?” While you’re doing this you’ll probably unearth a strategy you can apply to now go around the problem. If nothing comes give yourself a break by walking away, resting and or and spending time puttering doing something like cleaning or gardening. Then come back to this exercise later and try again until you do generate 5 other ways to get there. (Set the goal for five different strategies but you’ll probably come up with the answer sooner). Try a few or all of these solutions to see which one works best for you. Have you ever thought to use your intuition to rise above or go around obstacles? What happened? What surprised you? P.S. Discover your purpose & unique moneymaking proposition by unlocking your intuition: Click here now. A mega collection of intuition quotes from authors throughout history. You’ll find some from my own articles and books as well. “How do geese know when to fly to the sun? Who tells them the seasons? How do we, humans, know when it is time to move on? How do we know when to go? As with the migrant birds, so surely with us, there is a voice within, if only we would listen to it, that tells us so certainly when to go forth into the unknown.” — Elisabeth Kubler-Ross, M.D. P.S. Find your purpose & unique moneymaking proposition: Click here to learn more.